(Bloomberg) -- As Boeing Co. shuffles its top engineers and works to get its 737 Max aircraft flying again, analysts covering the airlines are focused on how long the stoppage will last and the mounting costs facing the planemaker’s customers. Boeing is likely to resume deliveries of its 737 Max jetliner in the second quarter, Morgan Stanley analysts said Wednesday, reaffirming the stock as a top global pick. Analysts including Rajeev Lalwani still like Boeing’s long-term fundamental picture, despite the “ongoing volatility” from the grounding. At least two airlines -- WestJet Airlines Ltd. and Air Canada -- have pulled their forecasts in the past week as they assess the financial impact. 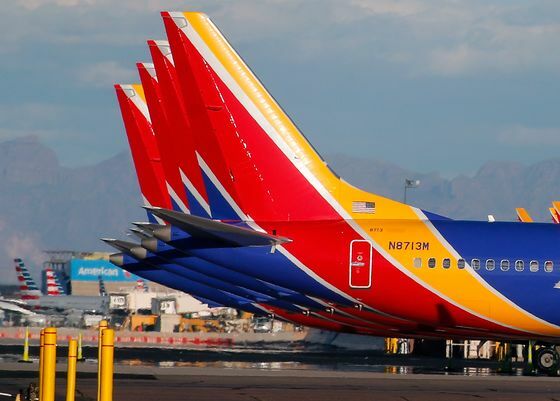 The true extent is still uncertain, however, and analysts have lifted estimates for first-quarter costs for some carriers, such as Southwest Airlines Co. Securing used aircraft to replace the grounded planes would cost about $250,000 a plane each month, George Ferguson, an analyst at Bloomberg Intelligence, said last week. For Southwest, the biggest buyer of the revamped single-aisle workhorse, that would mean an extra cost of around $8.5 million for its 737 Max fleet of 34 planes. If the Max grounding persists beyond the March quarter, the airline’s cost structure could face more long-lasting impacts, Goldman Sachs analyst Catherine O’Brien said in a note Wednesday, cutting her price target to $49 from $54. The ongoing pressure on available seat miles, a measure of capacity, is not only expected to hurt revenues, but also raise the costs to 8 percent, which is two points higher than the airline’s guidance. With over 30 Max aircraft, representing about 7 percent of its capacity, the airline has “the greatest U.S. exposure,” Morgan Stanley’s Lalwani wrote in a March 18 note. The resulting impacts are expected to lift first-quarter cost per available seat mile to nearly 9 percent, up from the company’s January forecast for about 6 percent. Southwest is “having a tough quarter operationally,” Kevin Crissey, an analyst at Citigroup, said in a March 14 note. Because of the Max grounding, the airline “is facing a larger aircraft shortage, with essentially no notice.” Southwest was already struggling with a spate of groundings for maintenance amid tense labor talks with its mechanics. While any hits to American Airlines will be less than those for peer Southwest, Lalwani still anticipates an “adverse impact to capacity” with its 25 Max planes grounded, hurting first-quarter capacity by 50 basis points and second-quarter by 100 basis points. The company’s annual cost per seat mile is now expected to rise around 2.5 percent, exceeding the carrier’s own forecast, which the analyst sees crimping earnings. Air Canada on Tuesday said it plans to remove the 737 Max aircraft from its flying schedule until at least July 1. 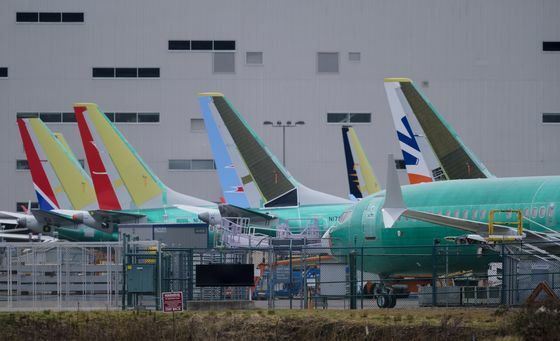 Prior to all Max deliveries being suspended, the carrier said it was expecting six new planes from Boeing in March and April. 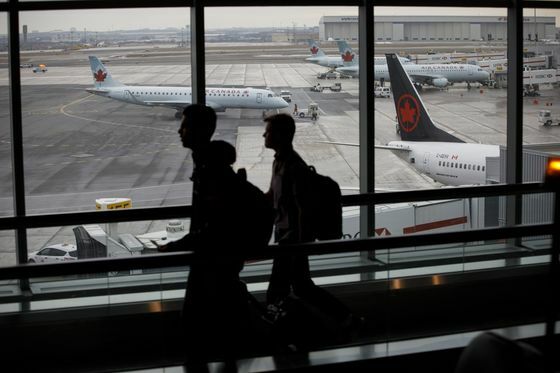 Tuesday’s update comes after Air Canada on Friday suspended its financial forecast for the first quarter and full year because of the grounding, while leaving financial guidance for 2019-2021 in place. 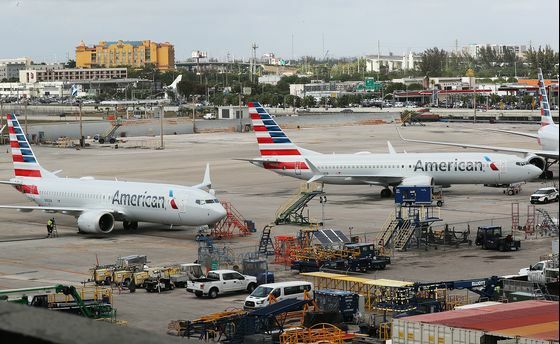 The airline, which operates 24 737 Max jetliners, 6 percent of its flying fleet, likely has “some tools” to help make up the capacity, Cormark analyst David Ocampo wrote in a March 18. “Nevertheless, we believe there will be some negative impact in Q1 and Q2 from the cost associated with rebooking delays and the lost capacity,” Ocampo added. WestJet Airlines Ltd. said Monday it’s suspending all 2019 financial guidance as the company continues to carry out and execute its contingency plan. Max models made up 7 percent of the airline’s fleet, totaling 13 planes, Cormark’s Ocampo noted. “WestJet expects it will be able to protect approximately 86 percent of guests booked on Max and cover approximately 75 percent of the flights that were intended to operate on the Max with other aircraft," the carrier said in a statement. United Continental Holdings Inc. said it wasn’t experiencing a significant operational or financial effect from the grounding. But in a regulatory filing on March 15, the airline cautioned that the impact was likely to worsen if the Max ban stretched into the busy summer travel season. Morgan Stanley’s Lalwani expects minimal impact relative to other airlines, as United Continental’s Max capacity is about 1 percent. The analyst sees the grounding hurting first-quarter capacity by about 20 basis points, and second-quarter capacity by about 50 basis points, he said. The Irish carrier will be among the most-affected by a lengthy grounding because it has among the largest number of Max planes scheduled for delivery this year, BI’s Ferguson said. The airline has “robust expansion plans” that may have to be reduced if the Max ban lasts more than a few months, he said. The grounding affects about 1 percent of Norwegian Air’s overall seat capacity, according to Chief Executive Officer Bjorn Kjos. The carrier has said it will seek reimbursement from Boeing for the costs of the grounding, which a DNB analyst estimates at between NOK5 million and 15 million a day. Norwegian has 18 Max 8 planes. 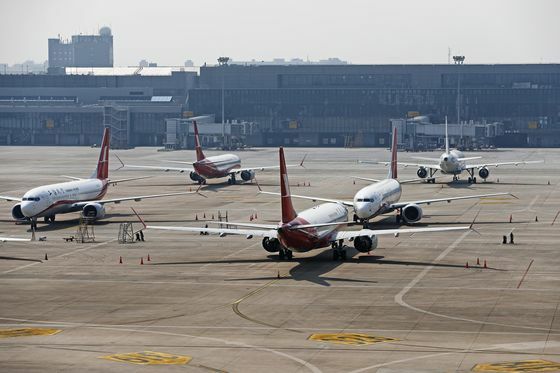 Chinese carriers shouldn’t see a material impact to profits or growth plans because the Max accounts for 2.7 percent of combined air fleets in the country, said Rahul Kapoor, a Bloomberg Intelligence analyst.